AS a Member of Parliament, he serves his residents with pride, without fear or favour, and when you hear of him being allegedly attacked, you surely feel downhearted. Police are investigating a report that first-term MP for Jurong GRC Dr Tan Wu Meng, a medical oncologist, was assaulted by a man at a Meet-the-People (MPS) session in Clementi on Monday night. Eye-witnesses said Dr Tan was at the session when a man, believed to be a resident staying nearby, rushed in and started hitting him with his fists at about 10.00pm. âA young man suddenly rushed into the interview area and started hitting me,â Dr Tan told ChannelNewsAsia. âThe young man was in the queue, for some reason he suddenly rushed in and started hitting me. Dr Tan, 42, is popular at his Clementi ward and is known to his residents as a super high-achiever and an oncology doctor. A Raffles Institution and Hwa Chong Junior College alumnus, he graduated with Distinctions in Medicine and Pathology from Cambridge University. He also has a PhD at the UK Medical Research Councilâs Laboratory of Molecular Biology. Jurong as one of the largest group representation constituencies in Singapore, is represented by five MPs. Dr Tan handles the Clementi ward. He is married to an infectious-diseases doctor and has two daughters. Back to the incident: Quick intervention by volunteers and residents present stopped the man from further raining blows on the MP. The po lice were called and were at the scene shortly along with the Singapore Civil Defence Force (SCDF). Dr Tan said he suffered bruises on an arm and âsome abrasionsâ on his neck, but said that these were minor injuries. He returned to the session after going to A&E to finish writing appeal letters. This is not the first time a serving MP has been attacked. In 2009, former MP for Yio Chu Kang, Seng Han Thong, a former newspaper editor with Lianhe Zaobao, suffered burns to his face, neck and back after flammable liquid was thrown on him during an event at Yio Chu Kang Community Club. Ong Kah Chua, a 70-year-old former taxi driver, had poured thinner on Mr Seng before setting him alight. Mr Seng was also attacked in 2006, when a 74-year-old man punched him during a Meet-the-People session. Koo Tong Huat wanted Mr Sengâs help in reinstating his revoked taxi licence. Personally, I do MPS every Monday at Nee Soon East with MP Louis Ng and I understand the very fragile nature of the encounters with residents, usually over three hours, from 7.30pm. About 70-90 residents turn up to see Mr Ng with grievances from housing setbacks, immigration woes, education headaches, domestic issues and financial grievances. I know emotions can run high, especially when residents have to take queue numbers and wait for their turn, when the y wish they wanted to be served first. This can possibly turn some of them into a violent mood as they feel their grievances are not quickly answered. Sometimes itâs close to impossible to please everyone, says another veteran MP from a East Coast constituency, who asked not to be named. Politicians the world over have been vulnerable to attacks especially at MPS sessions or other resident-engagements because security is reportedly very lax with hardly any uniformed officers in sight. In Britain, the last serious assault on a parliamentarian was the 2010 stabbing of Labour MP Stephen Timms. The MP for East Ham, was stabbed twice in the stomach by a young woman at his constituency surgery in east London on May 14 2010. The surgeon who operated on him described the injuries he suffered as âpotentially life-threateningâ because of the possible loss of blood and infection had he not been treated. He spent five days in hospital with abdominal injuries. His attacker was a 21-year-old radicalised student, Roshonara Choudhry, who told police she wanted to kill the former government minister for supporting the Iraq war. She was pulled off the MP by hi s assistant and held by a security guard. Choudhry was later sentenced to life imprisonment with a minimum term of 15 years after being convicted of attempted murder. After returning to work, Mr Timms reviewed his security arrangements. Others, including the then acting Labour leader, Harriet Harman, expressed concerns about the risks MPs were exposed to and said parliament needed to think about how they were minimised. The only British prime minister assassinated while in office was Spencer Perceval, who was shot in 1812 in the lobby of the House of Commons by a man with a personal grievance against the government. 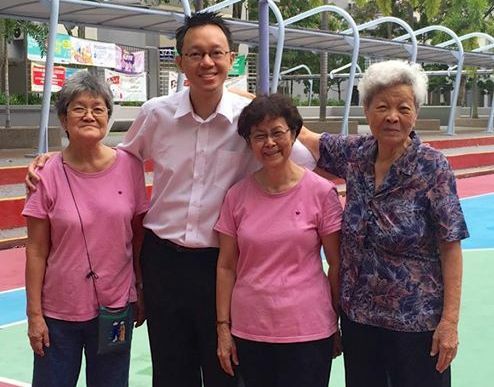 Back to Dr Tan: A first-term MP, he began his medical career as a specialist in medical oncology at the National Centre Centre at the Singapore General Hospital. He served as the Director of Outpatient Care for the Division of Medical Oncology. He was also a Pro-Tem Committee Member for the Sengkang Hospital Project and a member of the SingHealth Specialist Outpatient Clinic Task Force. He moved into private practice in 2015 and is currently with Parkway Cancer Centre. From 2006 to 2009, Dr Tan served with the North West Community Development Council as a Councillor and Vice-Chair of the Youth Works Sub-Committee. He was a member of the Senja-Cashew Youth Executive Committee 2007 to 2011 and also sat on the Senja-Cashew Citizensâ Consultative Committee from 2010 to 2013. In 2008, at the age of 33, Dr Tan was elected the Organising Secretary of the PAPâs youth wing, the Young PAP. He was the first person to hold the role of elected Young PAP Organising Secretary after it was created and served in the role until 2010. At the 2015 general election, he was elected to Parliament when the five-member PAP team in the constituency (which was led by Deputy Prime Minister Tharman Shanmugaratnam) defeated the team from the Singaporeans First Party by 95,080 votes (79.3%) to 24,848 (20.7%). Police have confir med that a 32-year-old man has been arrested for criminal trespass after the MPS attack at Block 334 Clementi Avenue 2. The suspected assailant is set to be charged in court on Wednesday. He is believed to have previous convictions for drug offences. For criminal trespassing, he faces up to three monthsâ imprisonment and a fine of up to $1,500 or both. For voluntarily causing hurt, he could be jailed up to two years, fined up to $5,000 or both.